Medical expenses can be a serious drain on your wallet, whether or not you have insurance. So the IRS offers a long list of expenses that you are allowed to write off as a deduction from your taxes. 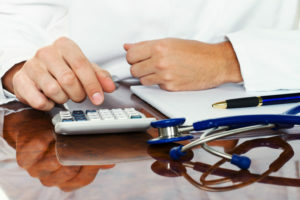 These types of expenses are generally spent on the cost to diagnose, prevent, treat, mitigate or cure an illness or some other physical or mental defect. They can be for a variety of reasons including payments for legal medical services from trained medical professionals. That is in addition to any required equipment, devices, or medical and medical-related supplies that are necessary for your well-being. You may also be eligible to deduct the money spent on insurance premiums to maintain your policy, costs of transportation to receive care. Plus, some long-term care services that qualify under the rules of the IRS tax code can be written off. There is a vast array of medical expenses that you may be able to write off. There is also a long list of medical expenses that do not qualify as deductible under the law. Many of these items may prove helpful to staying healthy. However, these expenses do not meet the IRS standard. These typically include treatments or procedures that are elective, with intent to improve one’s appearance. Some other items in this category include things like vitamins or a vacation. These may both improve your immune system and your peace of mind. Though, they fall outside of deductible items. In order to claim a deduction for any expenses for the tax year, they must have been paid during the calendar year. You will need some form of proof that the payment occurred in that time. These documents can be anything from a canceled check to a credit card statement or another receipt from your financial institution. It’s a good idea to have this paperwork ready in the event you are audited. That is because you need to verify every one of your deductions. You are not allowed to deduct any expenses that were covered by your insurance company or another resource. Finally, you may only deduct the amount you spent for this year. Nothing in the previous year or any estimated future medical costs may be included. The following items are all deductible, as per the IRS’s official website. This list covers many of the common expenses that individuals and families may need to incur. It is by no means a complete list of every deduction. Therefore, if you have a medical expense that you wish to deduct but are unsure if it qualifies, please visit the IRS.gov website, Publication 502. This expense is considered deductible if you pay out of pocket to receive an abortion performed under legal circumstances. The costs associated with inpatient treatment at a therapeutic or rehabilitation center to deal with alcohol addiction are deductible. That includes lodging and meals while the patient resides there. Transportation costs incurred while attending Alcoholics Anonymous meetings may also be deducted. However, that is if membership in the program is deemed medically necessary for treatment. As long as they are prescribed by a doctor, the costs for birth control pills are deductible. Any expense for breast pumps or related equipment that aids in lactation for pregnant mothers is deductible. This item can get confusing as most people may first associate this procedure as predominantly cosmetic. However, you may be able to deduct the expenses from this operation. Additionally, any breast prosthesis after surgery such as a mastectomy as a way to treat cancer can be written off. These expenses pertain to costs for any modifications or special equipment installations inside the home. Their sole purpose must be to provide necessary medical care for you, a spouse, or dependent. Should the improvement or installation increases the value of the property, the costs are partially deductible. If not, the full cost may be used as a write-off. Any costs related to the prevention or treatment of dental illness or other maladies is deductible. This can include expenses for a dentist or dental hygienist. They are for performing a variety of services or procedures including X-rays, cleanings, fillings, extractions, braces, and others. These expenses are deductible in the same fashion as those related to the treatment of alcoholism. All inpatient treatment services, as well as meals and lodging, are eligible. A long list of medications is deductible as long as they are prescribed by a doctor and deemed medically necessary for treatment. Insulin is included. Consequently, you may not deduct your costs for any medication that is not prescribed by a medical professional. Examinations, eyeglasses, and any surgical procedures that are considered medically necessary are deductible. Expenses for contact lenses are also considered deductible as long as they are provided for medical necessity. Surgeries to cure poor vision including radial keratotomy and laser eye surgery are also eligible. Costs associated with purchasing, ownership, and training of a service animal to assist any visual or hearing impaired person can be deducted. Additionally, any individual with a physical disability that would make owning such an animal necessary is deductible. These costs would include veterinary care, food, grooming. It also comprised of other expenses meant to keep the animal healthy and able to perform the service intended. Any costs spent on membership in a Health Maintenance Organization (HMO) for you or anyone else in your immediate family are considered medical insurance premiums. Thus, they are deductible. If you need an assistance device to improve your hearing, that expense is deductible. This includes any expenses from the device itself to maintenance, repairs, even the batteries. Any expenses made for care received at a hospital or similar care facility is included. However, that is as long as the primary reason for receiving those services was for medical attention. Meals and lodging are also deductible for the same reasons. If you are paying monthly premiums for a health insurance policy, these expenses may be deducted. However, you may not deduct any medical expenses that were paid out by the insurance company or for which you intend to take a tax credit. Some taxpayers who have an insurance policy that provides coverage other than standard medical care. They may deduct the premiums paid for the medical care portion of that policy. Yet, that is only if the cost is indicated separately within your agreement from the insurance company or other documentation generated by your provider. If you are paying expenses for the costs of medical care provided by a nursing home or similar facility for you, a spouse, or a dependent, you may deduct them. Again, the primary reason must be for medical care. Plus, deductible expenses include meals and lodging costs. Should the costs be for personal use and not primarily medical, then you may NOT deduct meals and lodging expenses. 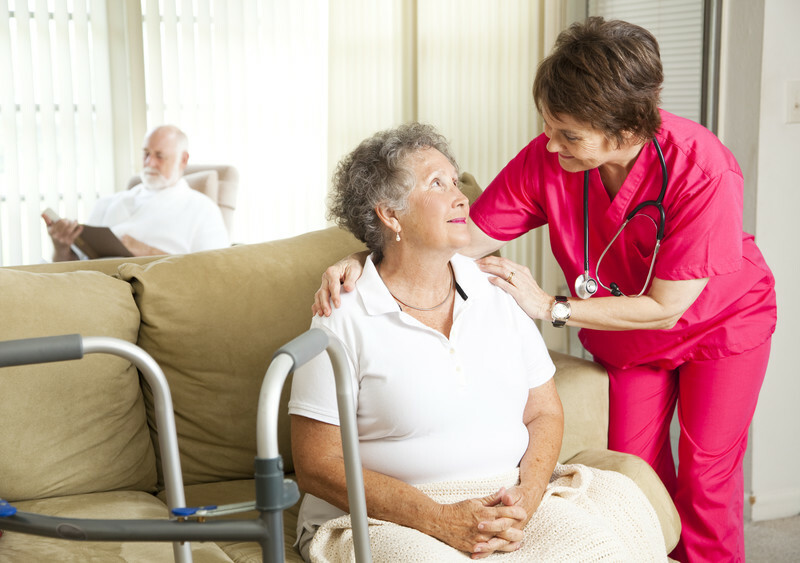 If you hire a nurse to provide services in the home or a care facility that are for medical benefit and care of that individual, these costs are deductible. This can include wages and any other related expenses that go toward your medical care and well-being. Should this hire perform other services in the home, the deductible amount must be divided between time spent performing medical and other duties. Any costs that were spent for your annual check-up or physical exam or diagnostic tests by a medical professional can be deducted. This expense is deductible for medical purposes but you do not need to be sick when you receive your exam. Any expenses for psychiatric care services that are made for the mental health services for you, a spouse, or a dependent are deductible. These costs include services provided in a medical facility. That is as well as any costs for transportation to receive such services from a facility. Medical expenses for these services are deductible as long you are receiving this care. You may not deduct payments associated with training to become a psychoanalyst. Any medical expenses paid to a psychologist for medical services are deductible. Any costs associated with providing educational services or schooling for a child with learning or other mental and/or physical disabilities can be deducted. They must have been recommended by a medical professional are deductible from your taxes. These expenses include payments made to a specially trained tutor or teacher and tuition. They also embody meals, and lodging costs to attend a learning institution. All of these things that provide special education training to help the child conquer his or her learning disabilities are deductible. You may deduct the costs associated with any program or certain medications that are designed to help you quit smoking. You may not deduct the costs for nicotine gum or patches. Only medications prescribed by a doctor can be written off. Hearing impaired individuals or those with a speech disability may deduct expenses for a special telephone or television equipment. This includes costs spent on a teletypewriter or telecommunications device needed to communicate on the phone. In addition, any adapter or special television that provides closed captioning or another subtitle program for the hard of hearing may also be deducted. The repairs needed to maintain this equipment is a deductible expense as well. Expenses for medical care as a result of donating or potential donating an organ and transportation costs associated with this donation may be deducted. Medical expenses paid for another individual donating or planning to donate an organ are also deductible. Any expenses associated with taking various forms of transportation in order to receive necessary medical care are deductible. These include costs for a ticket of fare on a bus, taxicab, train, or airplane. They also cover ambulance, expenses for transportation paid by a parent with a sick child who requires essential medical attention. That is in addition to transportation costs for a nurse or similar medical professional who can administer medications, injections, and other medical services. Transportation expenses for anyone accompanying a patient who cannot travel unescorted can be written off. Transportation costs for visits with mentally ill dependents are deductible, but only if such visits are recommended by a doctor. If you use a personal automobile for transportation then you may deduct various expenses. These include gasoline, oil, and parking and toll fees. You may not deduct for insurance costs, depreciation, or maintenance. The cost of getting a vasectomy can be deductible. Fees and other expenses paid toward a weight loss program can be deductible. However, the treatments must be for a disease diagnosed by a medical professional. This can include obesity, heart disease, hypertension, or any other maladies related to weight gain. 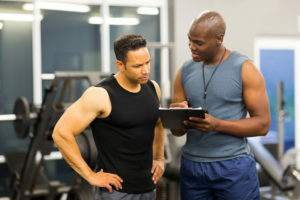 While these expenses are deductible, you may not deduct membership dues for a gym, spa or similar type of health club. Some weight loss programs offer special foods that you can purchase. The costs of these meals are only deductible if the food is meant to treat an illness, does not provide nutrition that other foods offer. They must be recommended by your doctor. Any cost associated with the use and maintenance of a wheelchair is deductible. Nonetheless, only if the chair is supplied for the purposes of an illness and/or disability. If your physician orders an X-ray and you need to pay for it out of pocket, that cost is deductible. The IRS allows you to deduct a full range of medical expenses. Though, there are many other expenses that are paid for care that the IRS does not allow. The following are among some of the more common medical expenses that are excluded from deductions. Expenses paid out for the care of an infant or child so that you, your spouse, or a dependent are able to receive medical or dental care are not deductible. Expenses that are claimed by a taxpayer for the childcare credit are ineligible as a medical expense for deduction. Medical expenses paid out for controlled substances, such as marijuana, that are meant to treat an illness but are not legal as per federal law are no deductible. This is applicable in states where such a substance is considered legal under state law. Any surgery that is performed for aesthetic reasons and not medical treatment is not deductible under the tax code. So any expenses for facelifts, breast implants, liposuction, or similar procedures do not qualify. There is an exception for cosmetic surgery. It must be performed to improve the appearance of an individual with a facial deformity, disfiguring illness. Additionally, injuries sustained in an accident or similar traumatic incident cannot be written off. Expenses for a funeral of any family member or other individual are not deductible. Any costs associated with medical expenses paid for care that you will or may receive after the tax year is over are not deductible. There is an exception on expenses for long-term insurance contracts and advance payments on lifetime care agreements. Payments for a gym or health club are not deductible regardless of the reason why you have joined that establishment. Although these clubs can help to improve your health, they are not allowed for deductions. Hiring in-home services to assist with cleaning and other necessities won’t qualify for a tax deduction. That’s even if such a hire is done on the suggestion of a medical professional. Yet, expenses on in-home help for nursing and hygienic care are deductible. That is as long as the nurse is assisting an individual for the purposes of providing medical assistance or personal care. Some individuals are ill and seeking out unapproved or illegal treatments. They will not be able to deduct the costs associated with that care from their taxes. That includes any medicines or treatments that are recommended by any type of physician with a license or without. Experimental treatments are excluded as well. Pregnant women who purchase maternity clothing during their term are not allowed to deduct the expenses on these items. Any medications that are imported to the United States from another country are not deductible. However, if a drug that originates from another country is authorized for legal distribution within the U.S. your expenses for that medication are deductible. If you are located abroad and purchase a medication in another country and it is legal both there and in the United States, then you can deduct those costs. Medical expenses on a drug that isn’t prescribed by a physician are not deductible, with the exception of insulin. This includes any treatments that are recommended by a doctor but not prescribed. Vitamins, herbal supplements, nutritional supplements and other natural treatments are not deductible. However, that is unless your doctor recommends one of them to treat a specific medical issue diagnosed by a medical professional. Since these items are intended to maintain your well-being, they typically aren’t used for certain medical issues. Expenses for everyday items that are meant to promote healthy habits, such as a toothbrush, toothpaste, or other personal use items are not deductible. There is an exception for any personal use item that is intended to alleviate or treat a known and diagnosed physical or mental illness or defect. In some instances, a special or unique version of an everyday item may be required for such purposes. In that case, the difference in cost between the normal version and the specialized version may be deducted as a medical expense. You may not deduct the costs of taking swimming lessons or other similar classes such as dance lessons. It doesn’t matter if these may help to alleviate an illness or come recommended by a physician. You can’t write them off. Expenses for teeth whitening treatments either from a professional or through an over the counter alternative does not count under the tax law. They are not deductible from your taxes. You may not deduct veterinary costs paid out for the health and well-being of your cat, dog, or guinea pig. These are not deductible as medical expenses. There is an exception for the care and treatment of guide dog or another service animal. It must have been recommended by a physician to treat or alleviate a diagnosed medical condition. You may not deduct any medical expenses associated with the membership and purchase of meals or supplements in a weight loss program with the purpose of improving your appearance or health. On the other hand, let’s say you’re enrolled in one of these programs for the purpose of treating a certain disease or illness as diagnosed by a medical professional. Then, the payments could be deemed deductible under the tax law. However, the foods or beverages that you may purchase through the program are only deductible if the food is meant to treat a medical condition. They must not provide nutrition that you would normally get from typical food, and such meals are recommended for consumption by your doctor. As mentioned before, these are just some of the more common items that may be deductible or nondeductible under the tax code. These may not reflect expenses that you have incurred on medical care costs for yourself or some other member of your immediate family. That’s why it is important for you to do some research into your own specific situation before claiming any deductions on medical expenses. If you claim something in which you are not entitled, you could be faced with fees and penalties for not paying your full tax liability. Conversely, you could be missing out on deductions for which you are eligible. They can be very helpful, particularly if you had to pay out-of-pocket during the tax year.